When you are reading scientific articles, it may be hard to focus on the message in each one of them. As a result, it may be difficult to, later on, remember the overall message or essential details. Or you may recall an interesting fact, but do not remember where you read it. This happens especially when you just read the articles from start to finish without taking notes. Here is some advice on how to read and interpret the articles and how to make useful notes so you can easily find back important data. While reading scientific articles you should ask specific questions about each article and write down the answers so you can find them back. These notes should be stored in a logical place, such as along with the reference in your reference management software, or in a note management program. The questions will help you focus your reading and storing the notes will make it easy to find everything back. Most articles contain the following sections: abstract, introduction, methods, results, discussion/conclusions, and references. Don´t try to read the article in one go from title to references but rather start at the introduction to get the ´big picture´ first. Then scan the rest of the article by focusing on the headings and subheadings and looking at the Figures and Tables. What do you think they found? Look up terms and methods you are not familiar with so you are sure you will be able to understand the message. Problem Read the Introduction. What problem is the entire field trying to solve? And what is the purpose of this specific study? Methods Study the Methods. What was done? Which techniques were used? What was measured? Results Look at the figures and tables in the results section. What are the main results? Do you agree? Do you agree with their description and interpretation of the results? Conclusions Read the Discussion/Conclusions. What are their main conclusions? Do their data support their conclusions? Did they answer their research question? Limitations What limitations to their study do they mention in the discussion? What limitations and pitfalls did you notice? Notes Write down any other noteworthy insight you come across. What is actually new? Abstract Read the abstract. Does it represent the data and conclusions correctly? Comments Did anyone write a letter to the editor commenting on the research? If so, read all comments and replies. What is their point? Relevance How is this research relevant to your research? In addition, you can leave notes on the PDF and highlight the most important passages so you can easily find them back. You may need to look up some of the references to understand the background, the references can also be a good source for further reading. If you take notes in your reference manager program (see my blog on the importance of using reference management software), you first import the reference and PDF into your database. Enter your keywords in the ´Keyword´ field and enter your other notes in the appropriate field (for example: ´Research notes´ in Endnote). If you take your notes in a note management program (such as Evernote or Trello), you may want to create a simple template for your notes that contains the questions you need to answer. In this case also include the name of the first author, the year and the label the reference has in your reference management program. 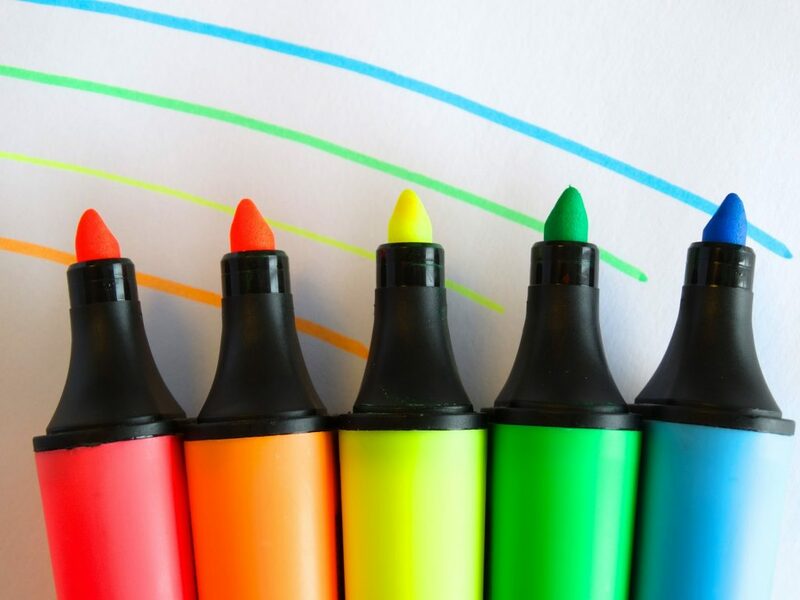 Just highlighting text when reading scientific articles will not make it easy to find important information back: make and store notes as well!